D-Link introduced two 802.11ax routers to its Ultra Wi-Fi router line – the AX600 Ultra Wi-Fi Router (DIR-X6060), and the AX11000 Ultra Wi-Fi Router (DIR-X9000). 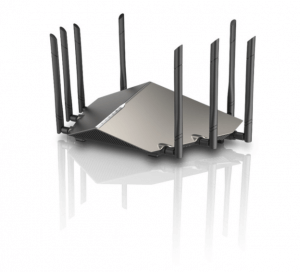 Designed to push the limits of Wi-Fi performance throughout the home to support more devices, more data and diverse needs, the dual-band AX6000 Ultra Router delivers combined speeds of up to 6,000 Mbps, while the tri-band AX1100 Ultra Wi-Fi Router delivers combined speeds of up to 11,000 Mpbs. These innovative and tech-advanced networking solutions offer Gigabit Wi-Fi speeds and work with a new D-Link Wi-Fi app for a seamless setup process. The routers bring higher-speed throughput to more devices simultaneously for greater network capacity. The new D-Link 802.11ax Ultra Wi-Fi Routers will be available in the second half of 2018. 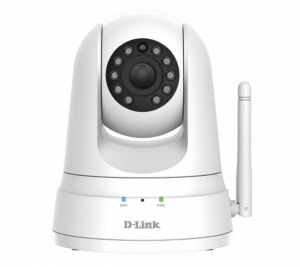 D-Link expanded its line of successful smart home monitoring solutions with new affordable HD Wi-Fi Cameras. 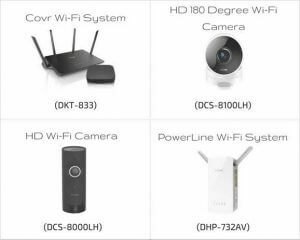 Designed for a number of home monitoring needs, the HD Wi-Fi Camera (DCS-8010LH), Full HD Wi-Fi Camera (DCS-8300LH), and the Full HD Pan & Tilt Wi-Fi Camera (DCS-8535LH) offer advanced features, including recording options as well as third party integration capabilities with Amazon Alexa, the Google Assistant, and IFTTT. These HD Wi-Fi Cameras are updates to the current D-Link camera lineup and will provide consumers with affordable and feature-packed home monitoring options. With features like cloud recording options and third-party compatibility, these cameras will be great for those looking to add to their current connected home, as well as those who are just starting out. The HD Wi-Fi Camera (DCS-8010LH) is coming in Q2 of 2018 at $59.99. The Full HD Wi-Fi Camera (DCS-8300LH) is coming in Q2 of 2018 at $89.99. The Full HD Pan & Tilt Wi-Fi Camera is coming in Q2 of 2018 at $119.99. 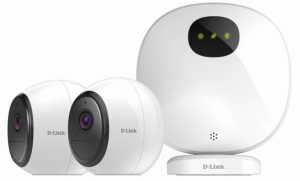 To create a more user-friendly connected home experience, D-Link has created a new mydlink app which allows users to setup and manage their cameras all in the palm of their hand. D-Link users can watch the live view of their cameras from anywhere and receive triggered alerts when sound or motion is detected. For comprehensive surveillance, the new mydlink app will continue to support free local recording via a microSD card as well as the option to use cloud recording – with various subscription options. Mydlink cloud recording will be available starting in Q1 of 2018 and will offer free and paid subscriptions with pricing details to come, closer to availability. Visit D-Link at CES 2018 at Venetian, Titian booth # 2302. D-Link debuted two new wire-free indoor/outdoor camera solutions to meet the ever-increasing need for around-the-clock home surveillance. Bringing connectivity to all areas, the LTE Full HD Indoor/Outdoor Camera (DCS-1820LH) and the Wire-Free Full HD Indoor/Outdoor Camera (DCS-2802KT) offer a number of exciting new features. With rechargeable batteries, IP65 rating, and the ability to record locally or to the cloud, these cameras are ideal for extended monitoring needs. The LTE Full HD Indoor/Outdoor Camera (DCS-1820LH) is coming in Q2 of 2018 at $299.99. The Wire-Free Full HD Indoor/Outdoor Camera (DCS-2802KT) is coming in Q2 of 2018 at $249.99 (1 Camera Kit), $349.99 (2 Camera Kit), and $219.99 (Add on Cameras). The LTE Full Indoor/Outdoor Camera, a CES Innovations award honoree, helps bring connectivity to all areas of the home, and can be used even in places that don’t have Wi-Fi or electrical power, providing users with flexibility and freedom for installation, monitoring, and automation. This camera also provides great connectivity when used on larger properties, during events and even for small businesses using Wi-Fi or the LTE service. The device connects to Verizon’s award-winning network to support non-Wi-Fi areas that the customer wants to monitor. With the exceptional battery life of over 11 months, D-Link’s Wire-Free Full HD Indoor/Outdoor Camera Kit helps round out a home surveillance system. It provides visibility into traditionally hard to reach areas such as backyards or patios, and offers both a cloud recording option as well as a local recording option with a USB 2.0 port. With night vision, two-way audio, and 1080p resolution, this camera kit is ideal for a larger space that needs monitoring. In addition, these new cameras work with the updated mydlink app, which includes cloud recording options as well as third party integration capabilities with Amazon Alexa, Google Assistant, and IFTTT. D-Link announced two next generation Covr whole home Wi-Fi solutions at CES 2018. They announced the 3-Pack Dual-Band Whole Home Wi-Fi System (COVR-C1203), which is coming in Q1 of 2018 for $249.99. D-Link also announced the 2-Pack Tri-Band Whole Home Wi-Fi System (COVR-2202), which is coming in Q2 of 2018 for $319.99. The Covr Wi-Fi systems are simple, intelligent solutions that offer a scalable mesh wireless network for ultra-fast speeds and seamless coverage to the furthest reaches of a home. Featuring a warm and home-friendly design, both Covr models offer Smart Roaming for a seamless connection and Smart Steering to guide devices to the optimum wireless band. The Tri-Band Whole Home Wi-Fi System (COVR-2202), a CES Innovations and award honoree, is a high-power, seamless solution that blankets every inch of the home with ultra-fast AC2200 Wi-Fi. Offering tri-band connectivity to deliver high performance and more coverage with one seamless network, the COVR-2202 delivers faster downloads and lag-free 4K streaming, and comes with high-power amplifiers to cover up to 6,000 sq. ft. with ultra-high-speed Wi-Fi. Leveraging Smart Backhaul design for the dedicated 5GHz wireless backhaul, the built-in vertical and horizontal antenna combination optimizes connectivity between Covr points to provide maximum Wi-Fi throughout the home. 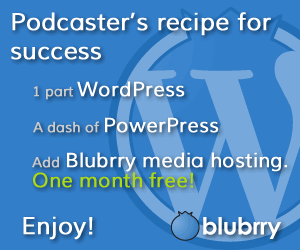 In addition, built-in Alexa compatibility allows for a voice controlled Wi-Fi network. The Dual-Band Whole Home Wi-Fi System (COVR-C1203) stretches AC1200 wireless signal to all corners of the home with its 2×3 antenna configuration for maximized range and connectivity. Delivering seamless coverage for up to 5,000 sq. ft. with three Covr points, the COVR-C1230 is fast enough to support multiple devices undertaking data-intensive tasks like simultaneous HD streaming. In addition, the COVR-C1203 is offered in a home-friendly design with swappable color plates. 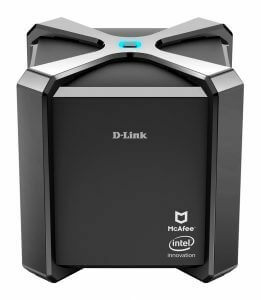 D-Link announced that the AC2600 Wi-Fi Router Powered by McAfee will be coming in Q2 of 2018. It is an all-in-one solution that automatically increases security for devices on the home network and delivers on both companies’ vision to address the pressing need for online security as people’s lives become increasingly connected. The comprehensive solution includes D-Link’s high-performance dual-band 802.11ac router with MU-MIMO technology that enhances network capacity and efficiency for users, McAfee Secure Home Platform that automatically protects all devices connected to the network, and the Intel Home Wi-Fi Chipset WAV500 Series to deliver robust Wi-Fi connectivity to numerous connected devices at the same time, running a range of high-bandwidth applications. IoT (Internet of Things) devices are subject to attacks just like any other connected device like a PC or smartphone. The new D-Link AC2600 Wi-Fi Router Powered by McAfee immediately and automatically helps secure all connected devices at the network level in a home, including non-display IoT devices, providing an additional layer of protection from potential hackers and for members of the home using devices and accessing online content. McAfee’s Global Threat Intelligence features adaptable machine learning that protects by preventing, detecting, and correcting malicious malware and attacks, which enable a safer internet browsing experience for consumers. Designed for families and smart home owners looking for the ultimate home networking without sacrificing privacy and security, the DIR-2680 keeps connected devices safer from unwanted intrusions and thefts. Additionally, comprehensive parental control features provide customized protection from children in the household. The DIR-2680 is easily set up with the D-Link Wi-Fi app and can be managed from anywhere with the McAfee Secure Home Platform app. D-Link is a global leader in connectivity for home, small business, mid to large-sized enterprise environments, and service providers. D-Link made several announcements at CES 2017 about their new products, including the Covr Wi-Fi System and the Covr Powerline Wi-Fi System. The Covr Wi-Fi System (DKT-883) technology transforms the traditional router-extender solution into an easy to use Wi-Fi system that blankets the entire home with a fast, reliable, signal. While other mesh network solutions rely on multiple access points, a premium router is the backbone of the Covr Wi-Fi System. Combined with the seamless extenders to cover hard to reach areas, the system delivers a Wi-Fi signal to all areas of the home including upstairs, basements and backyards. The Covr Powerline Wi-Fi System (DHP-732AV) is one of the first Wi-Fi solutions to utilize PowerLine technology as a foundation. 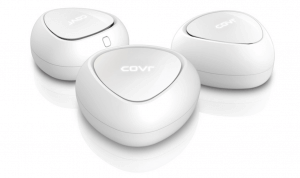 Covr uses the existing home router and a set of adapters to create a comprehensive Wi-Fi coverage solution. PowerLine users the home’s existing wiring to transfer network data, essentially turning electrical circuits into a high-speed network The Covr PowerLine System extends Wi-Fi coverage to hard-to-reach areas of the home, as well as wired networks. The new D-Link HD 180 Degree Wi-Fi Camera (DCH-8100LH) and HD Wi-Fi Camera (DCS-8000LH) deliver an intuitive and affordable way to monitor homes and loved ones. The two cameras are designed for a variety of surveillance applications and lighting conditions – offering premium features, wide viewing angles, night vision, sound and motion detection, and crisp HD video. Visit D-Link System at CES 2017 at Titian 2301A, Titian 2301B, and Titian 2302. D-Link is expanding its existing line of EXO Internet routers. The company recently announced the release of its new AC1900 Wi-Fi Router and the AC1750 Wi-Fi Router. The EXO series delivers exceptional Wi-Fi performance with high-power amplifiers designed to maximize range as well as gigabit Ethernet ports for wired connectivity. The AC1900 router also includes SmartConnect technology to automatically assign clients to the wireless band providing the best bandwidth. These new routers from D-Link will range in price from $129.99 to $149.99 and they should both be available by mid-2016 at most online and brick-and-mortar retail locations.